Motorcycles are a common and deservedly well-enjoyed mode of transportation in South Florida. But when a motorcycle accident occurs, the odds that the accident will result in a fatality are high, as a motorcycle offers little protection from cars, trucks, and the other large, heavy vehicles that crisscross South Florida’s roads. If the rider isn’t wearing a helmet the odds of traumatic brain injury or fatal injury escalate even further. That’s why it’s imperative for you and your fellow motorcyclists to ride defensively and wear all recommended protective gear. But it also helps to know which scenarios are most likely to result in an accident. At Gonzalez & Cartwright, P.A., we’ve long since learned that the so-called left turn motorcycle accident is one of the most common motorcycle accident scenarios. Typically what happens in one of these accidents is that the rider is proceeding straight when an automobile or truck makes a left turn in front of the oncoming cyclist. Oftentimes this occurs at an intersection (which is where most motorcycle accidents occur), with the automobile or truck violating the motorcycle’s right of way (and sometimes violating traffic signals as well). As such it’s a good idea to slow down and exercise additional caution when approaching any intersection. You should always be aware of the possibility of a car turning in front of you, even when they haven’t signaled an intention to turn. If it’s dark or rainy the chances of this happening rise further, so inclement warrants an even greater degree of caution. Of course, if you have already been involved in a left turn motorcycle accident or another type of motorcycle crash in Lake Worth, it’s advisable to contact a Lake Worth motorcycle accidents lawyer as soon as possible. Drivers owe a duty of care to motorcycle riders—a duty to act reasonably and responsibly under the circumstances, which translates to a duty to drive safely. But if a driver breaches this duty and causes a left turn accident or another type of crash, the motorcyclist who is injured has the right to hold the negligent driver responsible. As a Lake Worth personal injury lawyer, following are some of the most common injuries we see at Gonzalez and Cartwright, P.A. The severe and potentially catastrophic nature of motorcycle injuries makes it extremely valuable for you to secure the services of a reputable Lake Worth motorcycle accidents lawyer who is motivated to secure full and fair compensation on your behalf. At Gonzalez & Cartwright, P.A., we have decades of combined experience fighting for the rights of our clients and a track record of helping our clients get the full and fair compensation they deserve. We’re also proud to serve the local Hispanic community and our attorneys and staff work hard to facilitate that. 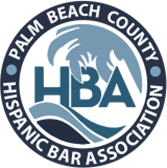 In fact, we have attorneys and staffers who are bilingual, and our employees have a long history of serving the community, both from a legal and community service perspective. 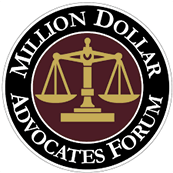 For example, one of our attorneys is past president of the Palm Beach County Hispanic Bar Association and has served on the Board of the Hispanic Education Coalition, the Board of the Florida Justice Association Women’s Caucus, the Board of the Hispanic Education Coalition and the Palm Beach Coalition for Immigrant Rights, among other organizations. If you have sustained injuries in a motorcycle accident in Lake Worth or one of the other municipalities in Palm Beach County, contact the attorneys at Gonzalez & Cartwright, P.A. right away to discuss your legal options. We will help you understand whether you may be entitled to damages, and we offer a free consultation to all potential clients. Our office is conveniently located in downtown Lake Worth across from City Hall and can be reached by phone or via this online contact form. We are also available to travel to meet with prospective clients, including home and hospital visits. Evening and weekend appointments can be arranged as well. FAQ: After a motorcycle accident has occurred in Florida, who is eligible to file a lawsuit? Any individual who was injured in a motorcycle accident as a result of someone else’s negligence can file a claim. Any person whose property was damaged as a result of a motorcycle accident that occurred due to negligence may also be able to recover damages. FAQ: Why is it important to speak with a motorcycle accident attorney in the wake of a motorcycle crash? The obvious answer is that if you are a victim of a motorcycle accident you may be entitled to recover damages—both economic and non-economic—from a negligent party or parties. You may also want to know whether you bear any responsibility for the accident and have any liability.